It has emerged that Olly Murs, the X Factor finalist has graced our TV screens before. 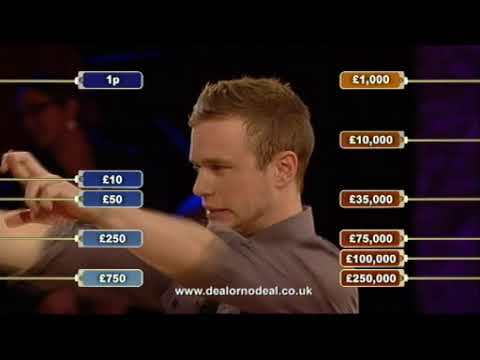 The 25 year old appeared on the TV show deal or no deal game in 2007. Olly managed to get in the hot seat alongside Noel Edward’s and have a crack at winning the £250,000 prize. So how did Olly do ? Well not that great, in fact pretty bad. Unfortunately Olly only went away with £10 but showed some courage along the way turning down a deal or £22,000 at one point. But maybe Olly’s luck might change. If he wins this years X Factor he will be looking forward to a jackpot much bigger than beating the banker on deal or no deal. You can watch Olly’s game online in the video below. ← What would you do with £90million?